I don't own any guns so i'll need lots of protection when Z-Day comes!! Anyone seen the movie 'Fido'. <-yeah. 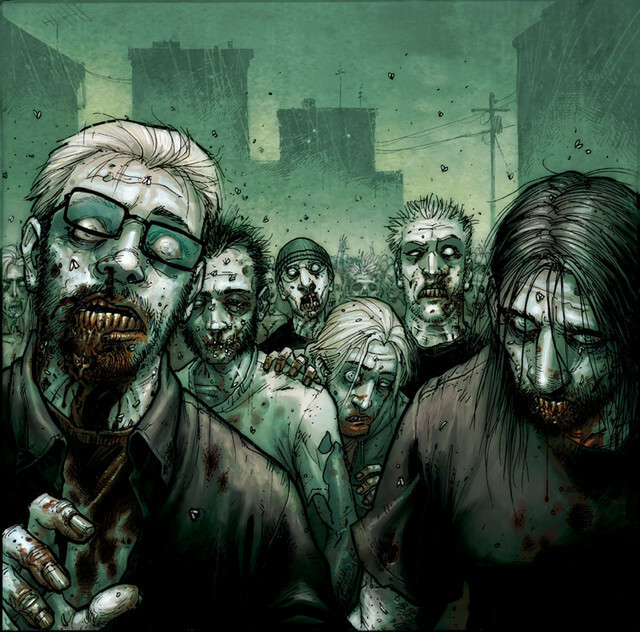 The official stance of the ZRT is to research and determine if there is any possible benefit to communicating with/controlling/cultivating/educating/profiting from the impending zombie presence. We do not necessarily believe that it is possible to make any kind of peaceful commune, but if the opportunity presents itself, surely we'd take advantage of it. If not to create zombie slaves, then at least to find some way to amuse ourselves by gaining their trust only to blow up their dirty little heads. Can you use a lalaby to put zombies to sleep? It is the current belief of the ZRT that the Zombie brain is inactive on all emotional/associative levels. What we percieve as vicious, angry behaviour is simply a motor reflex/instinctual response to the state of dying- trying desperately to nourish and revitalize the body and reawaken the braindead grey matter. This being the case, Music would likely Not soothe this savage beast. Without an emotional response to the tunes... it would have little to no effect. Well perhaps a biological weapon to be used against the undead should be researched by...hmmm....maybe....our Head of Anti Human Biological Weapon Counteractment, Tucker! Subject: Re: Super Extreme Positive Thread!